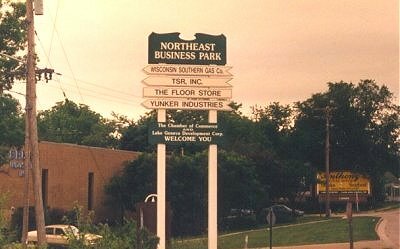 Sign pointing towards the nearby TSR headquarters. 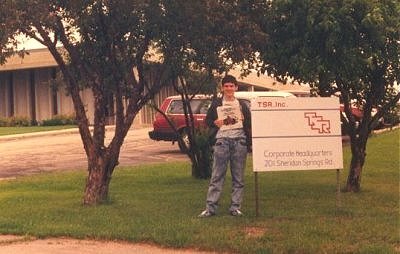 Me outside TSR with gifts (eg: AD&D Second Edition Monstrous Compendium volume one) given to me by Jeff Grubb. 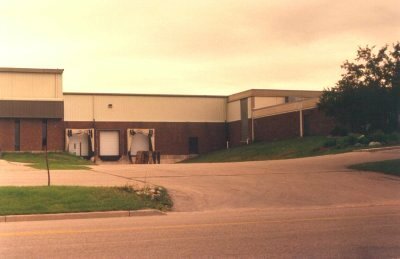 Address = 201 Sheridan Springs Road, Lake Geneva, Wisconsin, USA. A wider view of the same location. The door to the reception/foyer area lies a short walk up the hill. 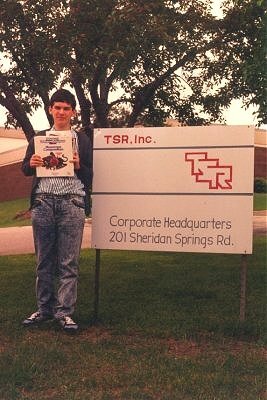 Entrance to TSR's warehouse, slightly down the hill from the sign with the TSR logo.